As you may have gathered, I’m rather a fan of book themed parties. Seriously what’s not to love? 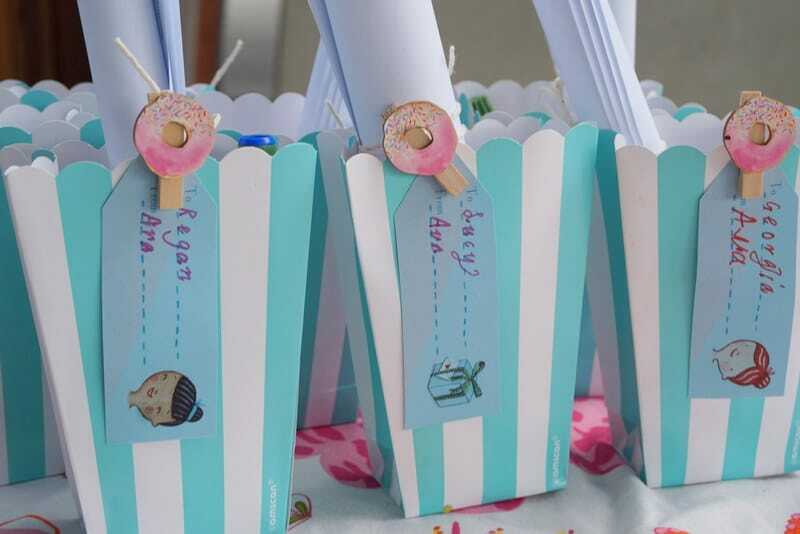 Aside from the obvious joy of seeing a book come to life, the theming is all done for you thanks to the text and illustrations: invites; food; decorations; games; quizzes and dress ups. Sorted! Click on cover image or title links to purchase. 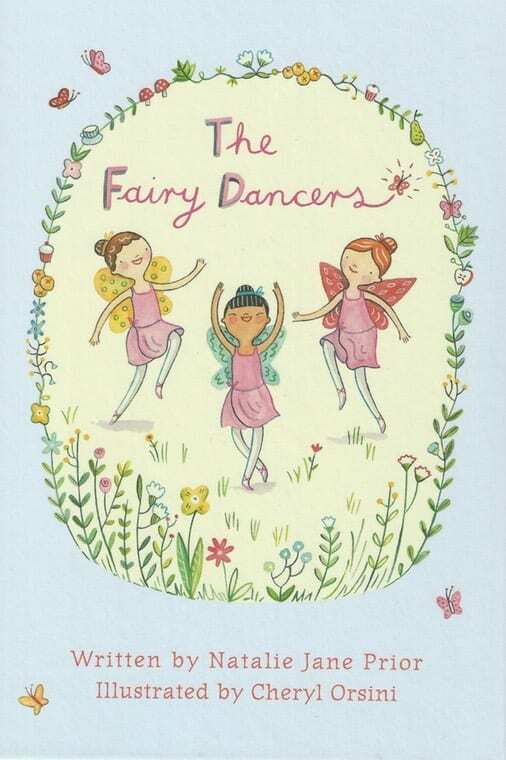 For both my girls, their favourite book of the past year would have to be ‘The Fairy Dancers’. 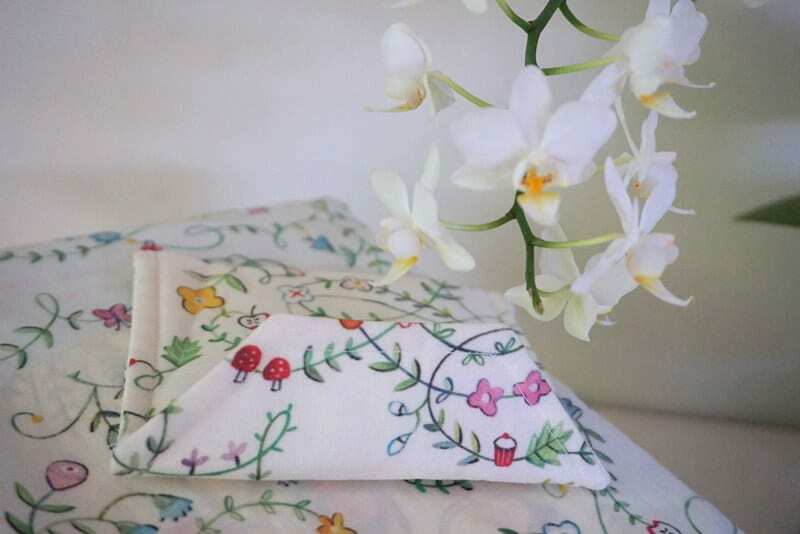 There is something magical about this gorgeous book by talented duo Natalie Jane Prior (interview here) and Cheryl Orsini and it has been read and loved and re-read in this house, to the point that we re-decorated their bedroom in its style (see here). As Pud’s moved schools this year, we just had a small group of friends from her previous school, and a few from her new class, for a Fairy Dancers afternoon tea party…and author visit #benefitsofthejob. 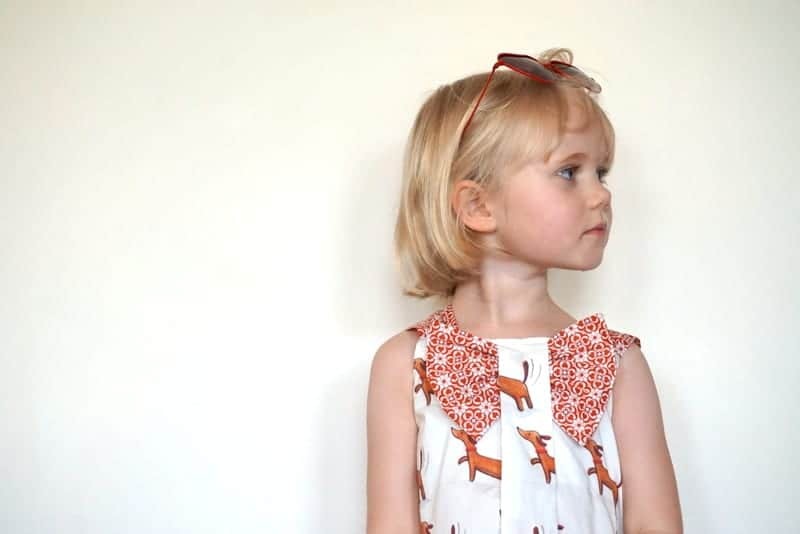 Clothes were sorted thanks to Cheryl Orsini’s illustrations, which Natalie Jane Prior organised into fabric, wallpaper and giftwrap which you can order through Spoonflower, which Natalie’s sister in law, Linda made into gorgeous dresses which you can order here. Get all that? 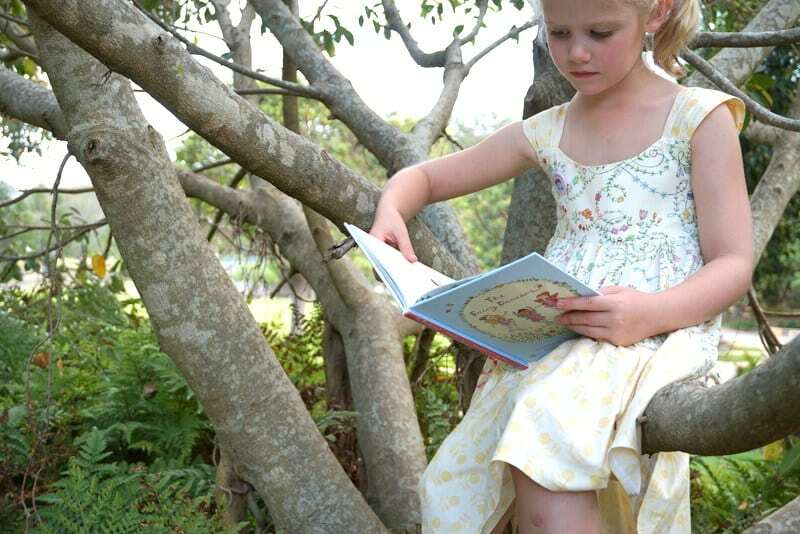 Chickpea wore the Coco Dachshund dress below and the birthday girl wore her Fairy Dancers dress (and spent much time in the tree at the park rather than helping to set up). Decorations were taken care of thanks to the talented Cheryl Orsini. 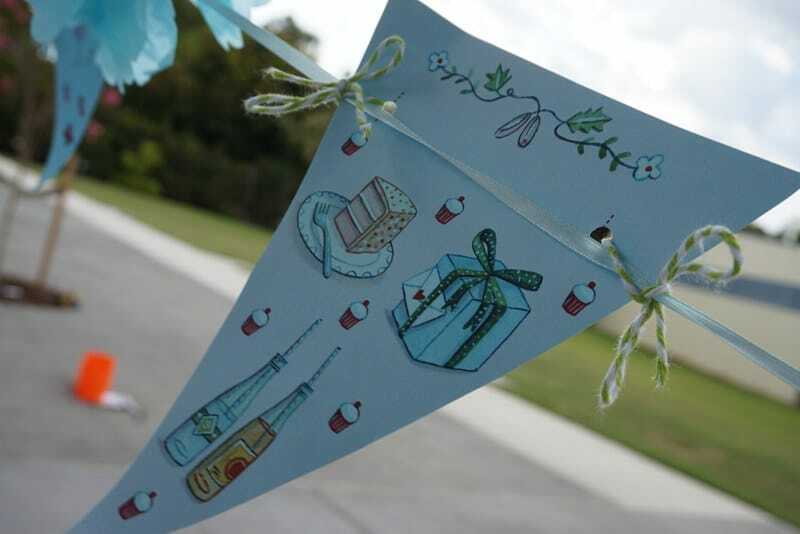 You can download invitations, bunting and tags and cake toppers and it’s pretty much covered – click on links to download! I used the cake toppers on everything (including the camembert requested by Pud as you can see below!) and on the party bags. Pudstar is of the firm belief that it is not a party without pass-the-parcel, and I’m pretty sure she will still want this game at her 21st. 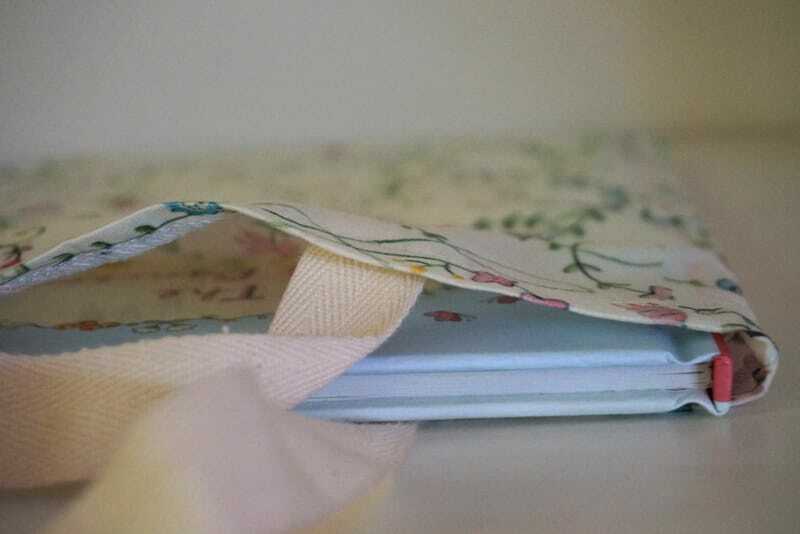 The prize at the end was, of course, a copy of ‘The Fairy Dancers’ and for paper wrapping we used the giftpaper from Spoonflower on every second one – though it did hurt my librarian heart to see it being ripped off I have to say. 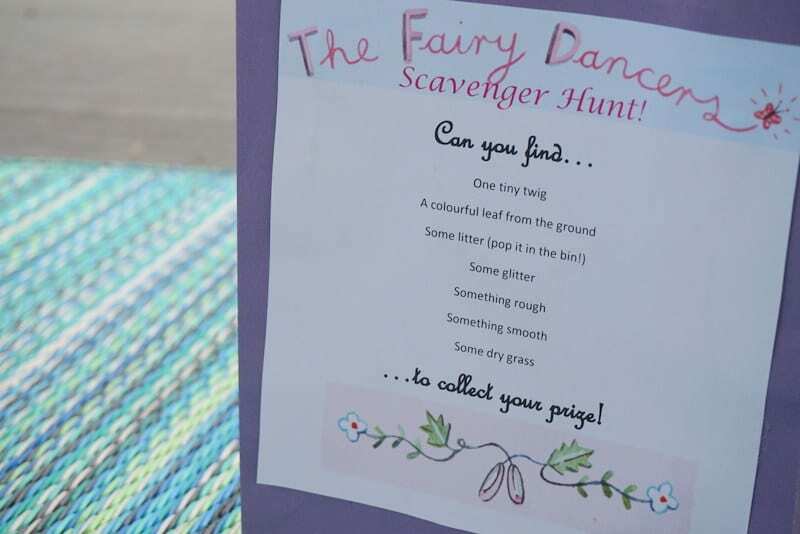 We had fairy bowling (okay I just added glitter to the bowling knocking down thingo’s), a scavenger hunt (they take forever – yay!) and the main attraction – a visit from the author herself, Natalie Jane Prior. 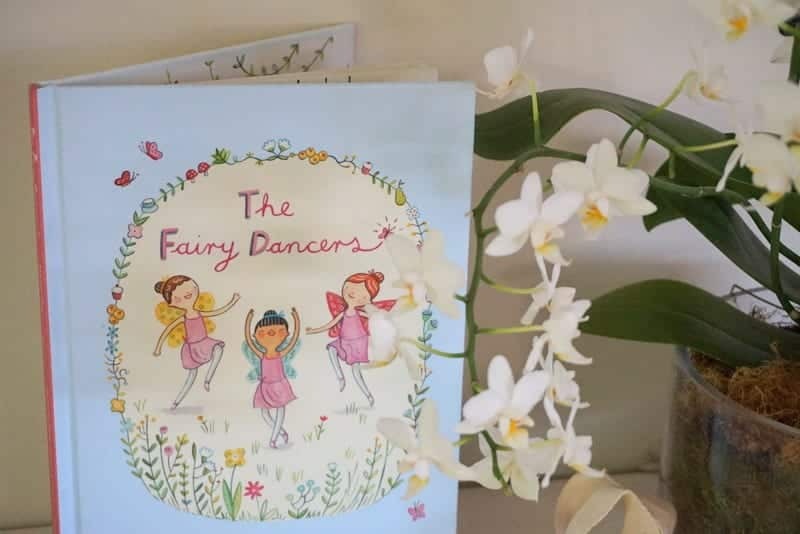 The girls were treated to a sneak peek at Natalie and Cheryl’s new book, were told about the next in the Fairy Dancers series (yay!) and Natalie ran a dancing competition. All prizes were, of course, books! Natalie also let them see a manuscript and pass it around and it was fascinating to hear about the process from idea to published book. Anyone can have a clown at their party, but an author? Now that is a cool party trick. Gone are the days of three course Moroccan meals at my kids parties – yes I did do that for her first birthday – that was clearly all about me and my new cook book. This party was the requested cheese platter, sweet and salty popcorn, homemade sausage rolls with homemade tomato sauce (which fooled no child – I heard one whisper to another, ‘I think she made it – yuck’), fruit platters, mini ice cream tubs with their choice of toppings and sprinkles, and butterfly biscuits made by the ever-wonderful Rachel, our International student. 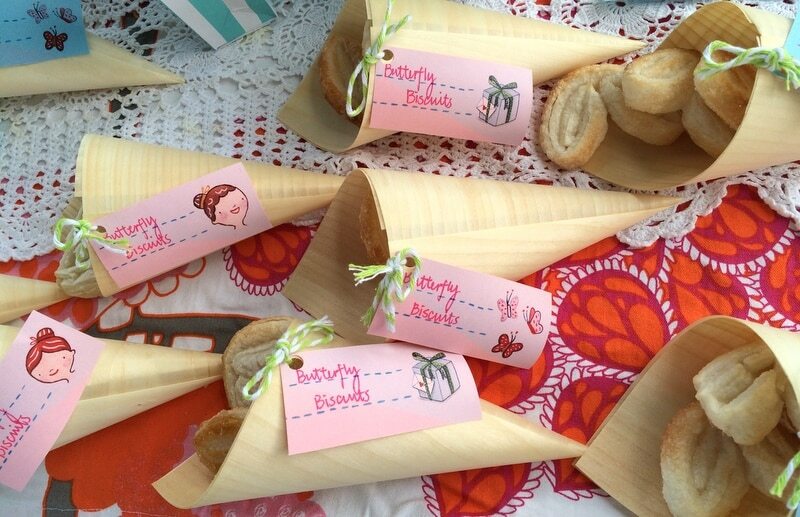 That poor girl is having to churn out butterfly biscuits for every occasion, and #backboy keeps eating them all. Oh and cake! Of course there was cake! 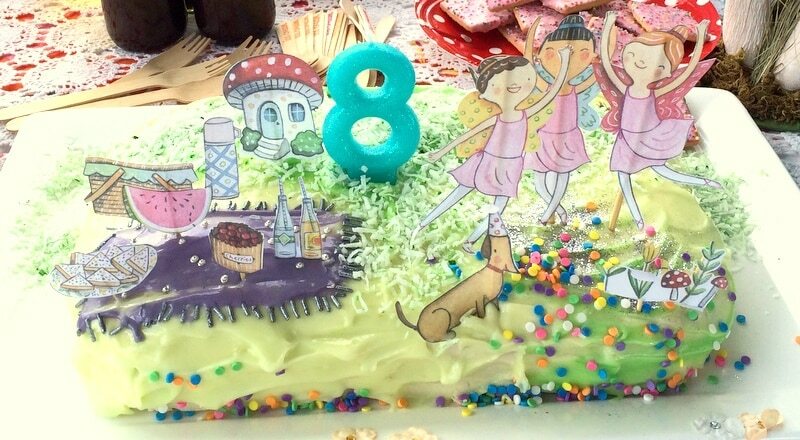 Red velvet with cream cheese icing and Fairy Dancer images which I colour photocopied and stuck onto toothpicks. Really I should have just done cupcakes and used the cupcake toppers! Much like pass-the-parcel, I’m sure Pud will still be wanting party bags at her 21st. She has only just been convinced that’s it’s not polite to ask ‘will there be party bags?’ when she first rocks up at a friends party. Sigh. These were super simple thanks to Cheryl, again. 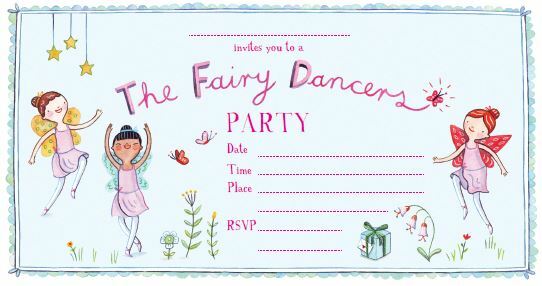 We gave a few felt pens, a lead pencil and a macaroon eraser, to go with the Fairy Dancer chatterbox printable, Fairy Dancer find-a-word, and two Fairy Dancers colouring sheets here and here. 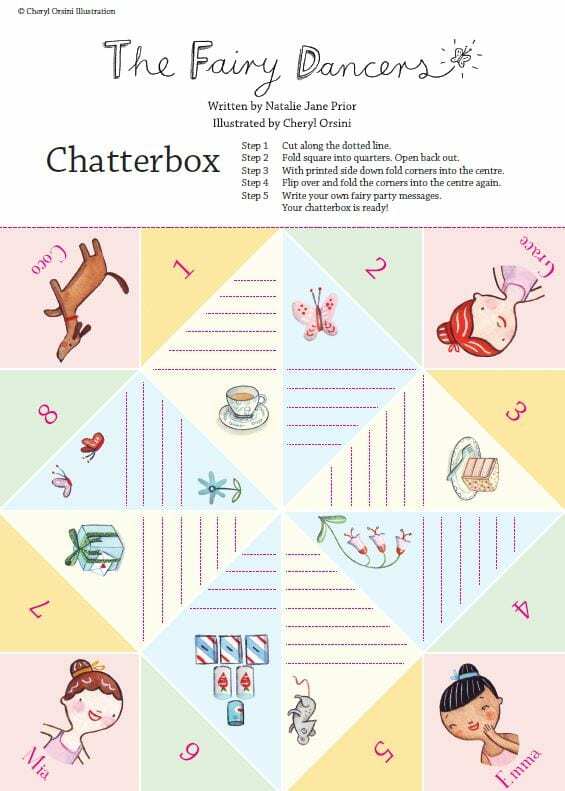 Those chatterboxes have been a total hit in the school library – I reckon upwards of 100 have been made this term! And then the clouds which had been threatening all day turned the sky black and the heavens opened just as the last guest left. It was a storm and a half. We retired to our front deck and drank champagne, which I requested when my dad rang to see if we needed anything! Party DONE. Sounds like a really cool party! I have a daughter in grade three at St Aidans. Wonder if Ave knows her? She probably does as there is only one class! I hope Ava is having a great time! My daughter came home on that day of school and exclaimed “Mummy there’s a new girl in my class! She’s soooo pretty!” Anyway maybe we can meet up some time with the girls!